The Da vinci Series 943 Short Handled XS round brush is made from golden, synthetic fibres in a flat profile and has an extra short handle. This short brush can be used for lots of painting applications - it can be used with almost all mediums due to the durability of its synthetic fibres and it is highly responsive. 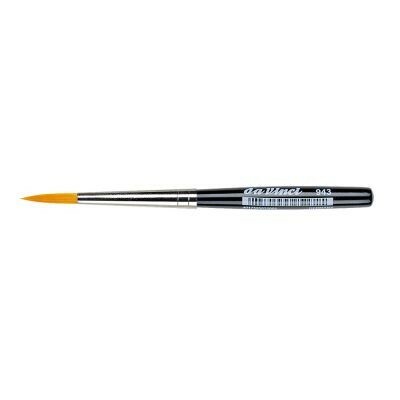 Use for small works, watercolour and hobby or craft applications. The length of the hair from the ferrule measures 16mm and the overall length of the brush is approximately 92mm.